Not sure about Brogden's initial status, as Northern was built in 1955.....probably constructed at about the same time as Brogden. Brogden was a Junior High School (grades 7-8-9) that "fed" into Durham High School (grades 10-11-12) and was part of the Durham City Schools system. Northern, on the other hand, was part of the Durham County Schools. I recall my grandparents telling me how when they moved into the house on Leon St in 1948 the land where Brogden and Palm Park Apts are was farmland...apparantely the school was built first on the site of the old farmhouse, and the apts were built a few years later. Of course in 1948 the roads weren't paved and Leon St hadn't been annexed into the city yet. Anon 1 - the first photos were labelled "...of Brogden High School" - I don't know whether it was actually ever a high school. I thought I remembered someone telling me that they consolidated Bragtown and Brogden HS when they built Northern. 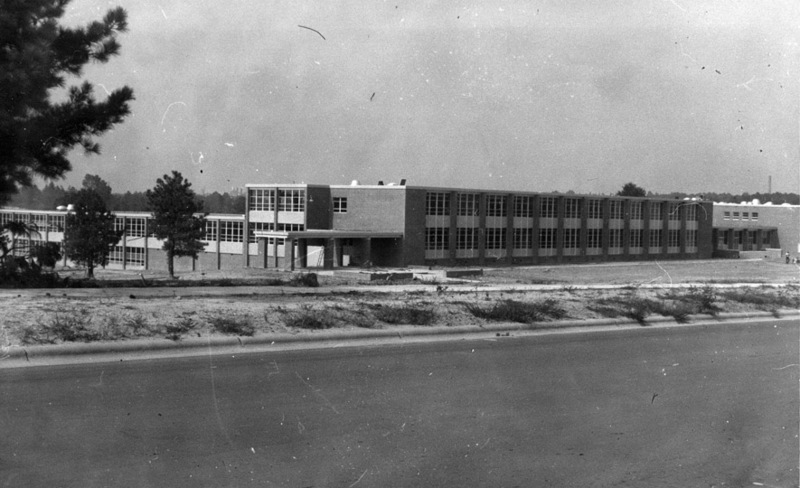 W J Brogden Jr High School opened to students in the fall of 1959 for grades 7,8,& 9. Students came, primarily, from EK Powe, Club Blvd, and partially Geo Watts. I know that in '56, we lived on Haverford St. off of Leon. As far as I know, Brogden had always been a Junior High. Some of the older kids in the neighborhood went there, then to Durham High. Brogden was never a High School. Brogden was a city Junior High (7 8 & 9). Later became a Middle School. Brogden was built to replace E. K. Powe Jr. High. 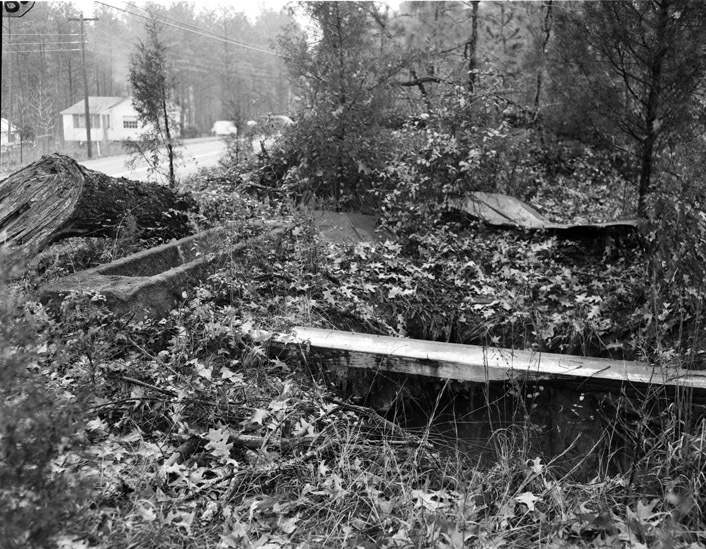 I remember that there was an amphitheater built on the campus; a small group of students did some discovery and clearing of it in the mid-1970's. Not sure what the status of it is today. Thaddeus Hall was the principal in that era. His wife taught English at Durham High School. They were retro-cool...an honest throw back to old school education from the 1930's. Dr. Barry Rice followed him as principal. After that, I don't know. This mid-century structure includes a series of mosaic panels of academic studies on the side of the auditorium at the entry. It offers a dramatic 40+ foot walk up to the front door. 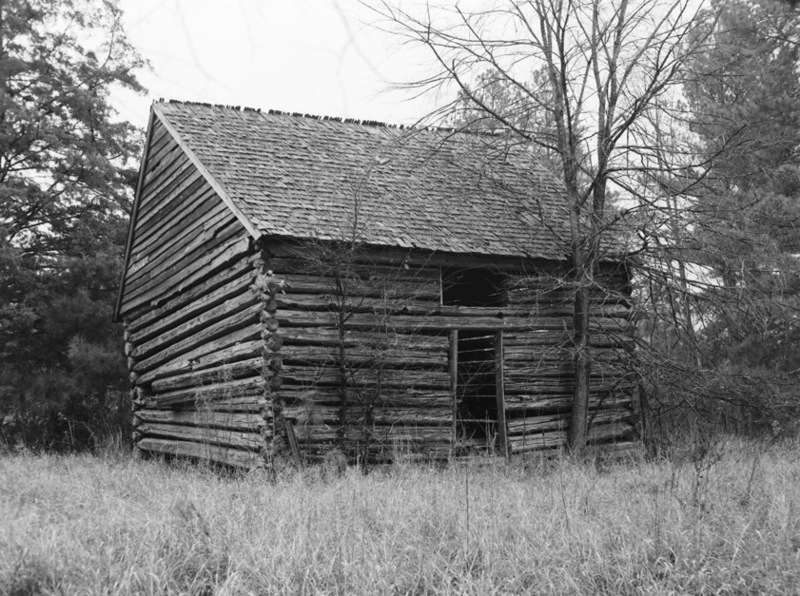 It doesn't appear modern architecture -has- to sacrifice meaning like many modern structures do. I have some old year books from Brogden that you could be interested in some pictures from. I have most years dating all the way to current. I'll have access to them only this summer as this is my last year teaching. But if you're interested in some pics let me know as I have them in storage in my classroom. A few summers between 1989 and 1993 my cash-strapped parents put me in summer day camps run by the city's parks and rec dept. I remember being 11 years old, from the southwest side of town, coming all the way up to this strange school in an unfamiliar neighborhood. In many ways, I-85 is like a man-made river that separates Durham socioeconomically. The kids I eventually made friends with at Brogden that summer were much more blue collar, more Southern (heck, I don't even have an accent and I'm a Durham native) and more streetwise. But they were all cool and we had some really great times. Super diverse, as Durham always has been. The next couple years the camp was even further up at Hillandale Elementary. Really fond memories of those summers even if it meant such a long trek from my home near Lakewood. Brogen Middle School was built in the late 1950s, opening in 1959. 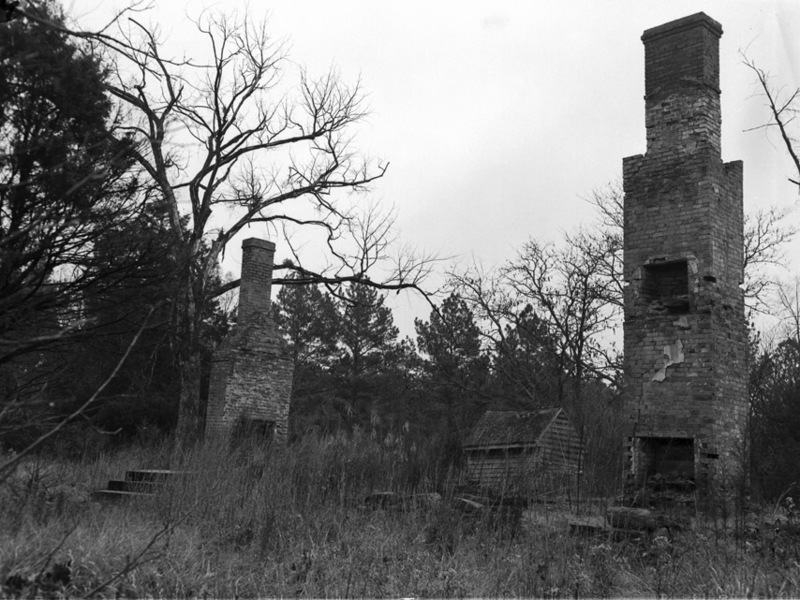 An unidentified homesite stood on the land prior to the construction of the school. Although perhaps anticipated to be a High School (per the Herald-Sun story titles) it appears (from comments below) that Brogden was never such - serving as a Junior High / Middle School, which it still is today. Find this spot on a Google Map.